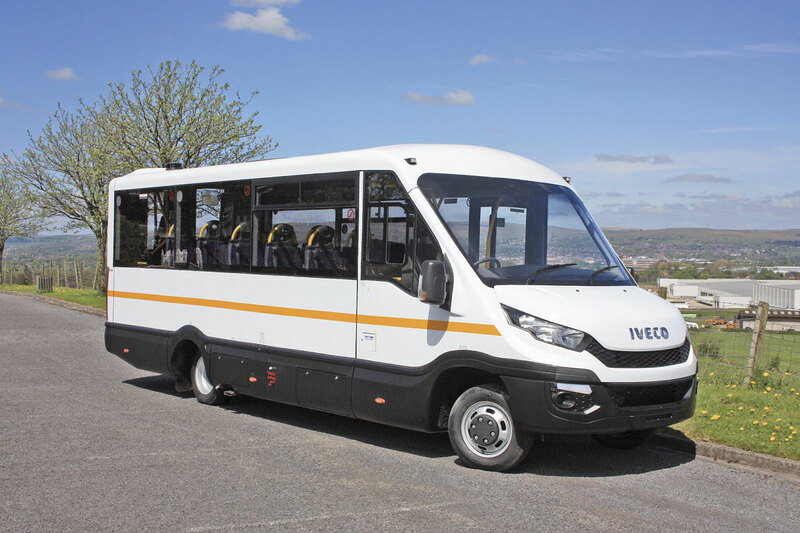 Mellor Coachcraft of Rochdale, part of the Woodall-Nicolson Group, has long had a lively business producing coachbuilt wheelchair accessible vehicle conversions on the Iveco Daily panel van chassis. 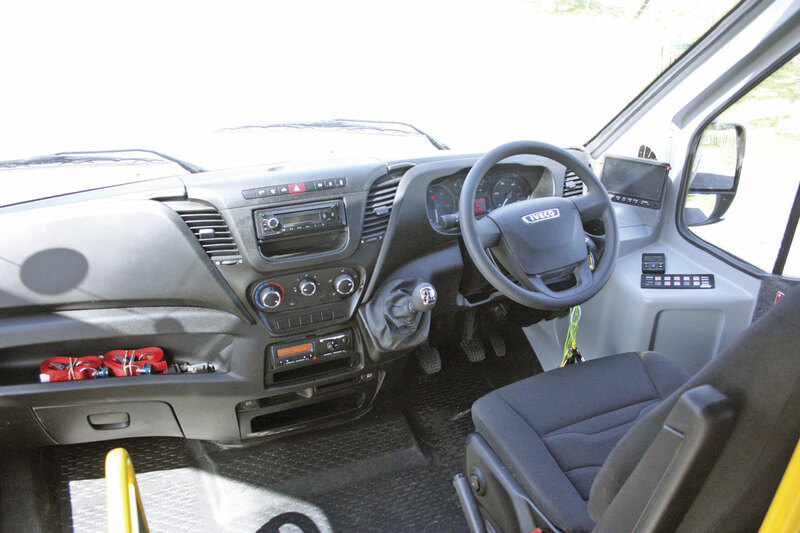 Last year we brought you news of a completely new Iveco Daily panel van range Iveco were introducing, building upon the success they had achieved with the previous model. The range is wide, from 3.5 tonnes GVW up to 7.2 tonnes GVW. With the demise of the Mercedes-Benz Vario, the Iveco New Daily offers the highest GVW of any mass produced panel van range. Mellor generally concentrate on the 5.2 tonnes to 7.2 tonnes models. As ever with new introductions, it takes the manufacturers some time to begin to supply all the variants. Understandably they start with the higher volume panel vans and introduction of the chassis cab versions is always somewhat delayed. These are now starting to come through to bodybuilders. Mellor have recently completed their first two contracts for the new model and I have been to see them. The New Daily sports radically different, some might say more aggressive, styling than its predecessor. It also has some marked changes in drive-line with the introduction of upgraded versions of the renowned 2.3 litre and 3.0 litre diesel engines, which are now available to meet Euro5 or Euro6 emission standards. These upgrades, whilst meeting the new more stringent emission standards, have also allowed a small increase in power. More importantly this power is achieved at lower rpm and with an increase in the already impressive maximum torque output produced. Even more importantly Iveco claim that despite these increases fuel consumption is even better and the Daily was already good on fuel. 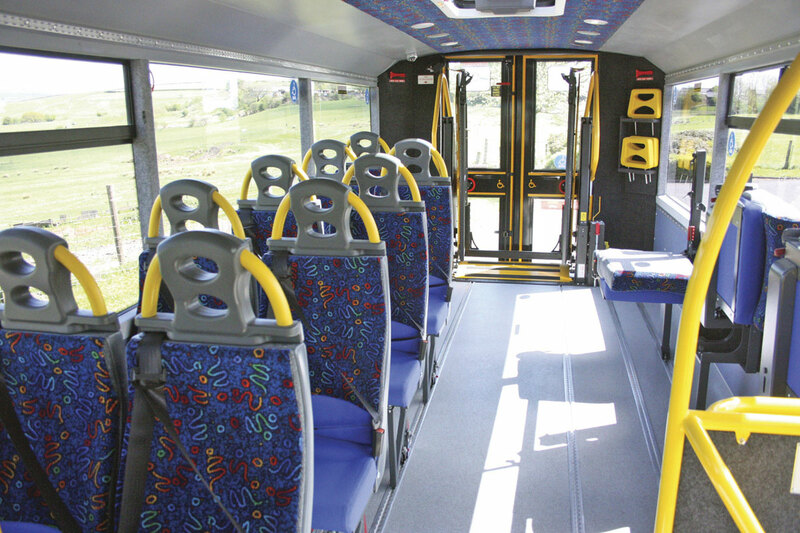 Mellor generally build on the longer wheelbase 4,350mm or 4,750mm units. As luck would have it the two conversions I inspected represented both drivelines available; the six-speed manual and the six-speed Agile automated gearbox. Both were built on the same 4,350mm wheelbase variant of the Iveco New Daily 50C17 model giving a 5.2tonnes GVW and a maximum power output of 170bhp. 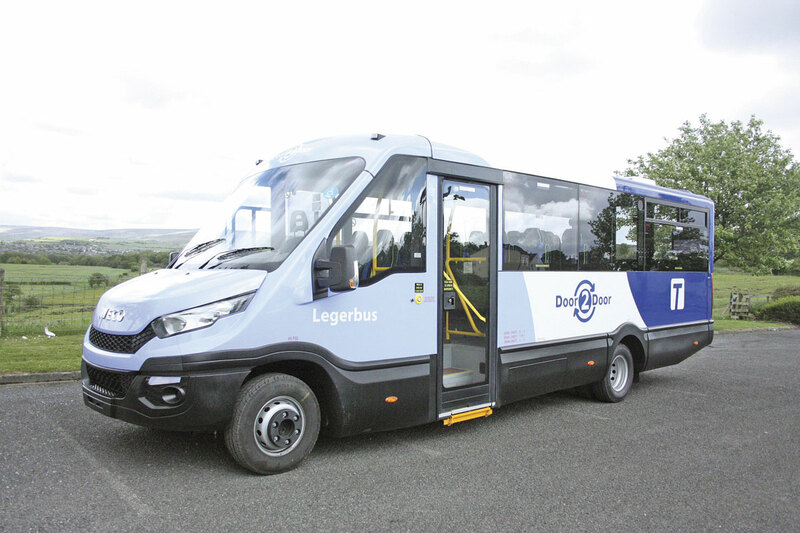 The vehicles were a batch of five for regular customer Aberdeenshire Council and a batch of two for Doncaster Community Transport. 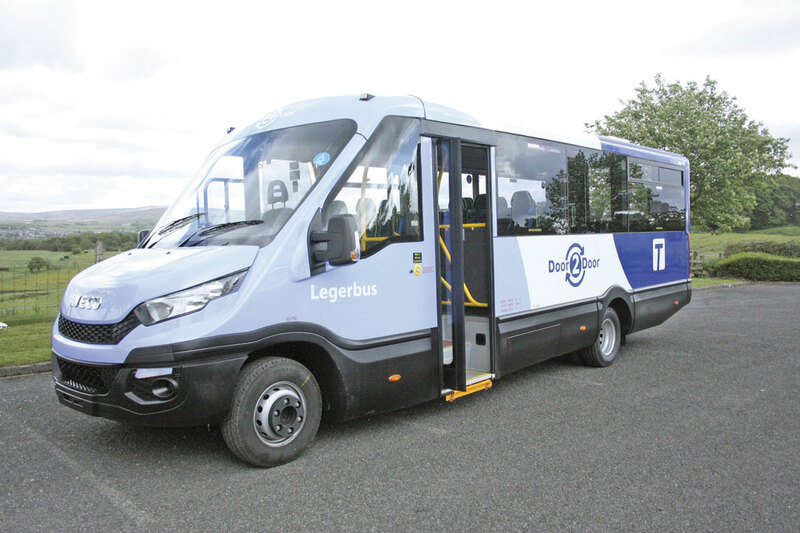 They were fitted with the upgraded Iveco 3.0 litre, four-cylinder turbocharged direct injection common rail diesel with the Euro6 emission standard achieved by the use of AdBlue and variable geometry turbocharging. The engine develops 170bhp between 3,000 and 3,500 rpm and generates maximum torque of 400Nm across a wide speed range of 1,500 to 3,000 rpm. The Aberdeenshire vehicles were fitted with the six-speed synchromesh manual transmission with a 279.5mm (11in) clutch; whilst the Doncaster vehicles had the alternative six-speed automated AGile transmission. The front axle is fitted with the excellent Quad-Tor independent suspension and is plated at 2.10tonnes. The rear axle is fitted with parabolic leaf sprung suspension with anti-roll bar plated at 3.70tonnes. Braking uses ventilated discs all round, 301mm diameter at the front and 306mm at the rear, while the steering is the familiar powered variable ratio system. The vehicle has twin rear wheels and tyres all round are 195/75R16. Mellor use the Iveco New Daily chassis/cowl as their base onto which they build a steel framed body which is heavily corrosion protected and designed to meet the latest regulations on strength and deformity in the event of accident. This structure is then heavily packed with noise insulation before the whole body frame is clad in fibre glass mouldings. The structure complies with all the required European safety standards. Glazing uses large, panoramic, bonded, tinted windows with one window on each side fitted with an opening sliding top section. The front, nearside entrance has three steps to reach to completely flat saloon floor and is fitted with a glazed, powered, in-swing glider door. The Doncaster vehicles have an additional fold out step at the entrance. 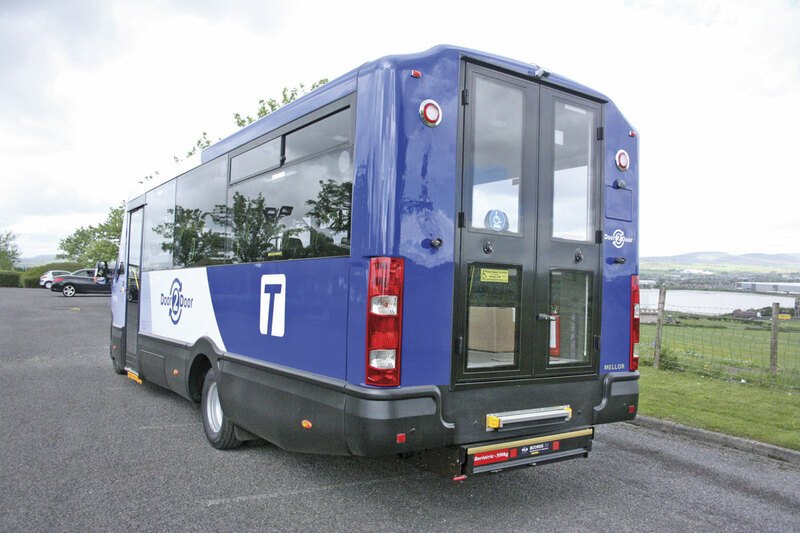 At the rear are wide, full height, glazed doors which open flat to the rear of the vehicle to allow easy use of the wheelchair lift. The Aberdeenshire vehicle is fitted with a Ratcliff RTP 50 500kg capacity in-board lift, whilst the Doncaster vehicle has a PLS access-lite Powermatic, underfloor, cassette type unit. One of the big advantages of the New Daily over its predecessor is that it has improved ground clearance, so less risk of grounding underfloor lifts. 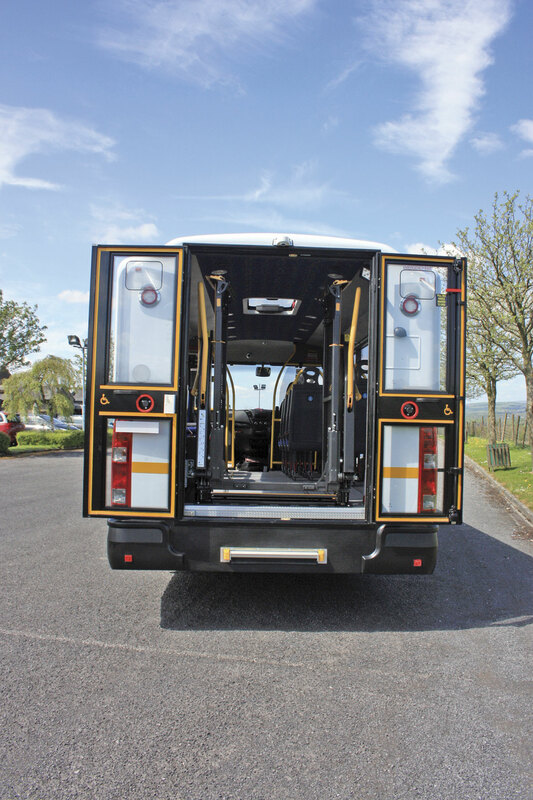 Both vehicles also have a manually operated extra step at the rear for emergencies complying with Regulation 107. Inside the saloon is clad in fibre glass mouldings. In the Aberdeenshire vehicles these panels have a smooth finish whilst the Doncaster vehicles are trimmed in moquette. Cove panels are fibreglass mouldings and here again there is a variance between the two orders, Aberdeenshire’s are smooth whilst on the Doncaster vehicles the vents for the heating system are incorporated in the offside cove. Both vehicles have a moquette ceiling trim incorporating the saloon lighting and an opening glazed roof vent. Both vehicles are fitted with Eberspächer D5 heating system but the Doncaster vehicles additionally have a roof mounted cool air unit fitted. 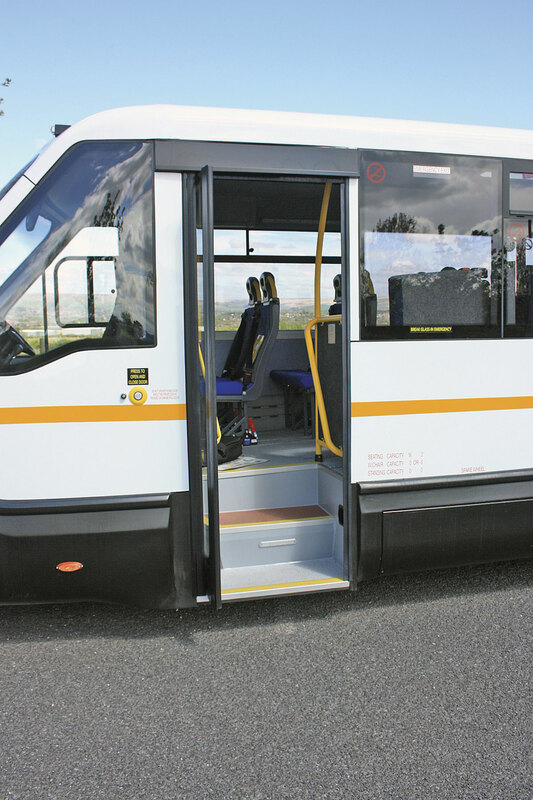 This particular Mellor design can seat up to 26 passengers but because of the accessibility requirement neither of these vehicles had seating reaching that level. Aberdeenshire has opted for full tracking with nine single Rescroft CT-Lite units fitted with NMI quick release mechanisms. The seats are trimmed in Ambla and moquette. Additionally on the nearside there are three Rescroft Plica tip and fold seats. All seats are fitted with all age belts. 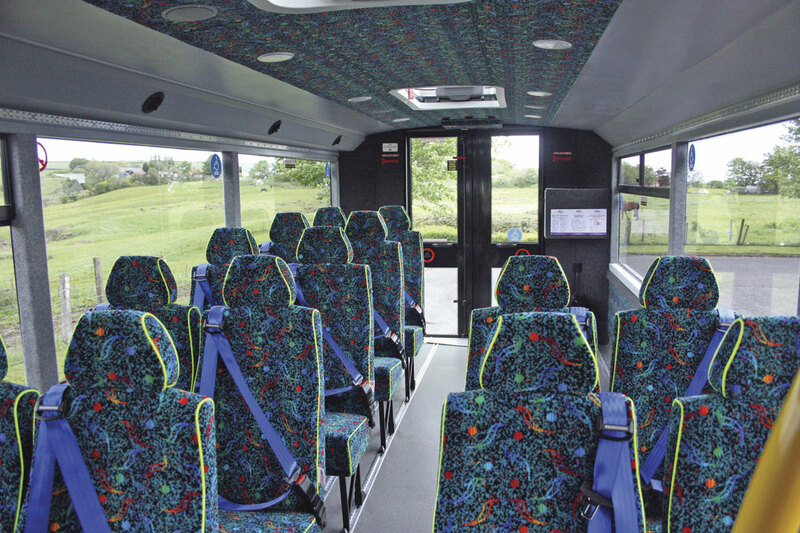 The Doncaster vehicles are fitted with 16 Phoenix Blenheim seats with six fixed doubles at the front of the saloon and four singles fitted with NMI quick release fittings at the rear for the easy creation of additional wheelchair space. The Blenheim’s are fully moquette trimmed including the headrests. Another variance between the two orders is that the Aberdeenshire vehicles were fitted with a four camera CCTV system. Mellor integrate the standard Iveco New Daily cab as far as possible which is a good thing because it is well planned and well laid out. Both batches of vehicle incorporate a luggage pen alongside the driver. One of the great advantages of Mellor being based in Rochdale is that it provides good road testing opportunities for journalists. It offers a combination of operating in a crowded urban environment and yet within minutes you can be out in the countryside climbing up into the foothills of the Pennines and out onto the Moors. I first drove the Aberdeenshire vehicle which had the manual transmission. There isn’t a lot one can say about the ZF synchromesh box fitted to the New Daily. It has been around a long time and it is one of the best manuals around. It is light and easy to use and has an excellent choice of well-planned ratios. I tackled the urban environment first and found the vehicle light and easy to drive. Vision through the large screen is excellent and the front A pillars, whilst fairly chunky, do not present any problems. The adjustable rear view mirrors give good clear vision. Handling is excellently light and positive. The Quad Tor independent suspension is a delight, giving positive road holding but also freedom from shocks – much appreciated in Rochdale, which must have one of the largest collections of speed humps of any town in England! Braking is also excellent being both positive and reliable but also very smooth, yet with a feeling of absolute security which translates into quick, straight braking when necessary. Power from the engine feels immense and yet you can run this vehicle smoothly around town even at slow speed. What is really noticeable about the new Euro6 engine is that it is remarkably quiet. After spending some time wandering around Rochdale town centre I headed for the hills to give the vehicle a real work out. The roads out of Rochdale into the Pennines are characterised by their steep and winding nature, both uphill and downhill, and in some of the villages and hamlets they are extremely narrow. Pulling up from the town gave me the chance to call for some extra umph from the engine and it is there, instantly. There is plenty of power and with that huge torque curve over a wide speed band you are always driving with bags of reserve. 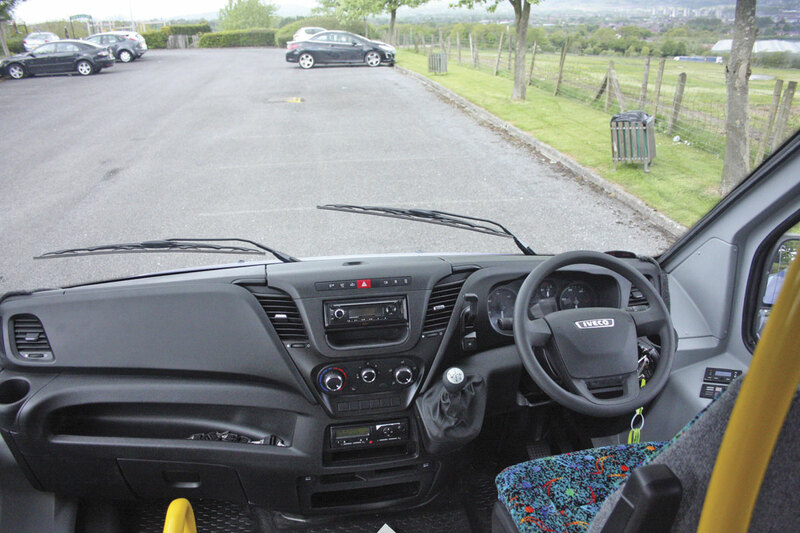 Some of the descents are really steep but the excellent brakes and suspension system mean that control is easy, ensuring that you can give passengers a comfortable ride despite the difficult road conditions. Mellor’s standard of build quality has always been high but with the improvements made to the factory since Brian Davidson came on board and with John Randerson now in charge of all bus production that has gone to an even higher level. Despite the difficult roads the vehicle remains tight with no body shake or shimmer and an absence of annoying rattles and trim squeaks. The vehicle was simply on top of the job at all times. Next I took the Doncaster vehicle out and put it over exactly the same route. There is no need to repeat much of what I have written because the Aberdeen and Doncaster vehicles operated in exactly the same way. I will confine my comments to simply talk about the transmission. The Doncaster vehicles had the AGile six-speed automated transmission. This is a transmission you either love or hate – I love it. It has been criticised by many who expect it to operate like a fully automatic transmission and it doesn’t, but if you drive it properly you can achieve changes that are only a whisker different from a fully automatic. Force it and it will bite. If you allow it to do its thing it will reward you and your passengers with a smooth ride with barely perceptible changes. Early AGile’s did suffer from a degree of dwell, particularly in the lower ratios, but those have been ironed out of the system long ago by better tuning of the software that controls the box. On the New Daily with the power and torque of the Euro6 engine I found absolutely no problems with it. It just went about its work changing up and down smoothly with no hint of dwell and even on the long climbs no hint of shuttling between gears. You do always have the opportunity to switch to manual operation in these situations essentially giving you the option to hold the vehicle in a particular gear. In all other respects driving the Doncaster vehicle was exactly the same as the Aberdeenshire vehicle – a total delight. The Doncaster vehicles are set to become something of a rarity because Iveco have now introduced a new eight speed automatic transmission on the New Daily called the Hi-Matic, so AGile fitted New Dailys, especially coachbuilt ones, are set to be rarities. What difference will the Hi-Matic make to the New Daily; I’ll be answering that question shortly. Watch this space.